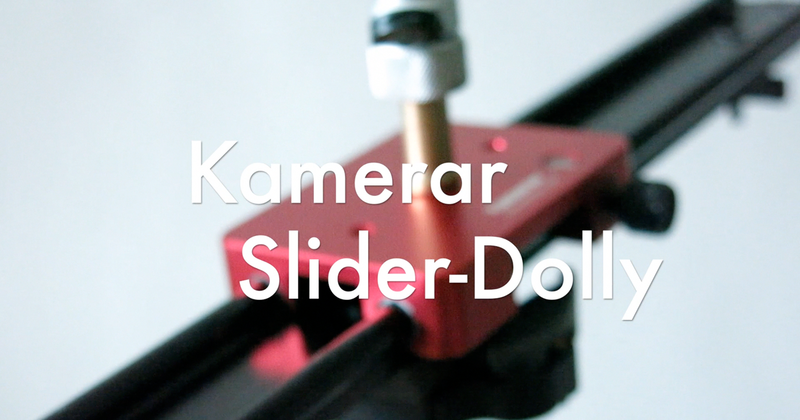 The Kamerar Slider Dolly SD-1 has been recently added to the arsenal of equipment here at Chris Gardiner Photography. Quite a fun piece of equipment to play with if you ask me. There are already a few reviews touching on it online and on youtube, but I made one myself anyways. So I'll try to keep my review notes point form so theres not too much verbiage for you to wade through. Also, accompanied by moving pictures - test footage included after the link. Enjoy! 1. Affordable, super affordable for me, it was a gift, but I hear its well priced as far as slider dollys go. 2. Rugged, you can tell by holding this thing, it won't break easily. Except maybe the friction pads, we'll see how they hold up with prolonged use. 4. Lightweight, easy to pack, break down, and travel with. 7. Can be extra stabilized by two tripods instead of one. 1. There are limited number of accessories made for this product, mainly, would be nice if a belt drive could be integrated in the future. Will be a DIY project no doubt. 2. Friction based sliding, so this is an apparent drawback. The weight of your system can really affect the smoothness of the slide. I have barely noticed this, but the internet likes to complain about it. But that's why its more affordable too. 3. Easily scratched, no carry case. 4. Watch out for the rubber feet on any seamless white or light paper. It rubs off like a black crayon. 1. Use the rubber band trick, I've yet to employ this, but it should smooth the motion out when you pull the carriage with a rubber band. 2. I get smoother results "pulling" the carriage, than "pushing" it. 3. A DIY belt drive is on my list of things to try. I am pretty happy with this thing, and feel like I am still only just tipping the iceberg. I haven't yet played with the dolly aspect of it, as having smooth ground to roll across, with a good subject nearby, is not so easy to find. That's what tracks are for. A snowboard will work great. Thin, light, easy to pack, and should double the distance of motion you can put in your shot. One thing that will help me enjoy it more is a better head for it. I am using the cheapest of cheap. Also, probably the oldest piece of camera gear I own that I still use. A little Optex Brand Tabletop mini tripod. Like the little ones you see in the hotel 1-hour photo store at a resort. (Thats actually where I bought mine). Ideally, you have a smooth panning tripod head, so you can use two motions in your shot if you like >> that of the slider motion, and the panning or tilting motion of the tripod head. Like I said, $5 tabletop tripod with a ball head, so my camera position stays properly fixated (when I'm lucky) while the slider is moving. If you don't have a slider but want a slider, and don't want to pay an arm and a leg for one, I really don't see why you wouldn't get this. The only decision you might want to make, is whether or not you want the wheels, and trade them in for a little extra length on the rails. As they have another similar model with longer travel. Hope this helps you make up your mind if you consider a purchase like this in the future! I'm starting to employ this slider in my real estate video walkthroughs, and will no doubt be used in my wedding videos to come! Here's a quick bit of example footage.